In the decade to 2017, when India was hit by five droughts, only a quarter of centrally funded major to medium irrigation schemes, covering area more than 2,000 hectares of land, were completed, as per the January 2019 audit report of the government’s accelerated irrigation benefit programme (AIBP). Of the centrally funded minor irrigation projects, 64% were completed in these ten years. AIBP was launched more than two decades ago as a central assistance programme for large incomplete projects that could not be funded by states. The reasons for the failure of the programme can be traced to delayed payments, fraudulence and diversion of funds, the report concluded. Nearly 60% agriculture in India is rainfed, and in a country where 600 million people live on farming, efficient irrigation becomes critical for agriculture productivity. The all-India percentage of net irrigated area to total cultivated area is 34.5%, Economic Survey 2017-18 noted. The AIBP started with Rs 500 crore in 1996-97. Over the next three years, the AIBP spent Rs 1,440 crore, IndiaSpend reported on March 14, 2016. In the same period, the expenditure on irrigation projects not funded by the AIBP was Rs 700 crore. In 2015-16, AIBP was made one of the four components of the Pradhan Mantri Krishi Sinchayee Yojana (prime minister’s irrigation programme) which was launched in 2015 to improve on the efficiency of farm water-use, expand cultivable area under assured irrigation and introduce sustainable water conservation practises. The audit sampled 118 major to medium irrigation projects for a decade ending 2017 and found that the cost overrun for 84 of them was Rs 120,772 crore, enough to buy 72 Rafale fighter jets at a cost of Rs 1,667 crore a jet or two times the 2019 interim budget for rural jobs programme. The Rafale price is based on the government's purchase of 36 Rafale fighter jets for Rs 60,000 reported by India Today on February 15, 2019. The government’s auditor also audited 335 minor ones and found cost overrun of nearly Rs 62 crore. Between 2008-17, only 31% of 201 big projects and 71% of 11,291 minor schemes have been completed. Together, in a decade, the sanctioned cost of the projects amounted to Rs 239,000 crore. 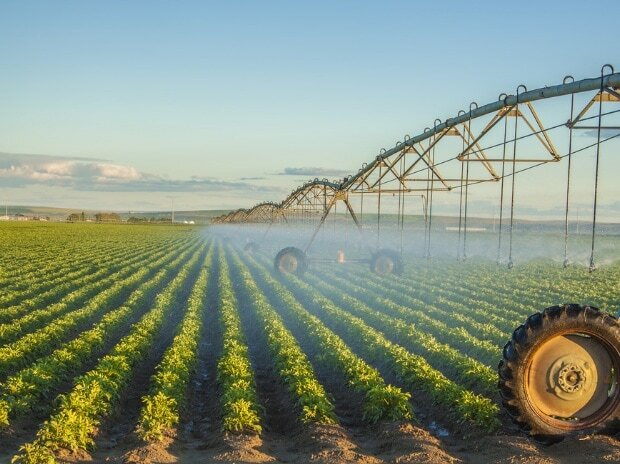 In 14 years till 2014-15, the net irrigated area in India increased 20% to 68.4 million hectares or twice the land area of Germany, according to 2018 government data on irrigation. (In this data, the figures for 2014-15 are provisional.) Meanwhile, 13 of the last 18 years witnessed below-normal rains and saw seven drought years -- 2002, 2004, 2009, 2014, 2015, 2016 and 2017, Down To Earth reported on October 1, 2018. “Soil moisture (agriculture) drought affects crop production and food security in India especially in the absence of irrigation,” noted a January 2019 report on drought and famine in India over a century and a half. The primary reasons for the elimination of famine in India are better food distribution, availability of buffer food stocks, rural employment generation, transportation, and groundwater-based irrigation, but depletion of groundwater in northern India is a concern for food and fresh water security in India, the report noted. Nearly 60% of India’s irrigation is dependent on groundwater. India is the world’s largest consumer of groundwater, extracting twice as much as China, the world’s most populous country, IndiaSpend reported on May 7, 2018. India extracted 250 cubic kilometre of groundwater in 2010--1.2 times the capacity of Kariba, the world’s biggest dam in Zimbabwe--of which 89% was used for irrigation. Despite massive investments in the AIBP, India’s canal irrigation is decelerating -- 3 million hectares of canal-irrigated areas have been lost since 1991 and this does not augur well for insulating the country from drought, Economic & Political Weekly reported in September 12, 2009. “The best thing we can do with our surface storages is to maximise their use for groundwater banking by spreading the water over as large an area as possible,” it noted. During the decade audited, the irrigation potential created -- total area that can be irrigated by a fully utilised project -- was nearly 5.8 million ha, falling short of target by by 2.7 million ha or 32%. The overall target for 115 major to medium projects (three were “deferred”) was 8.5 million hectares of irrigation-- the size of the United Arab Emirates. Only 23% of these achieved full irrigation potential. Among 85 ongoing projects, only 63% achieved their full irrigation potential. In minor schemes, 39% irrigation potential was achieved against a target of 0.15 million hectares. The report cited “delayed execution of work, subsequent changes in the scope and design of the projects, commencement of work without ensuring fulfilment of essential pre-requisites such as land acquisition, delay in obtaining of clearances and non/delay in provision of rehabilitation and resettlement measures”, as reasons for missed targets. Nine states accounted for about 75% of projects covered under AIBP--Maharashtra (48); Madhya Pradesh (19); Karnataka (17); Telangana (13); Jammu and Kashmir (13); Andhra Pradesh (12); Odisha (11); Uttar Pradesh (nine) and Jharkhand (eight). Although central assistance provided to states for the programme during the period was Rs 41,143 crore (including Rs 2,421 crore as loan from NABARD in 2016-17), there were delays in release of central assistance to states between 2008-09 to 2016-17, the report noted. The ministry accepted that late releases of funds were due to late submission of proposals and defects in the proposals submitted by the state governments, the report noted. There was a diversion of funds, the report said, amounting to nearly Rs 1,579 crore in 13 states. This indicated “inadequate financial discipline, control and monitoring on expenditure by pay and accounting authorities”, the audit said. Cases of fraudulent and suspected fraudulent payments in four states-- Assam, Karnataka, Nagaland, Uttar Pradesh--amounted to Rs 7.6 crore. In 18 large to medium projects in seven states and minor ones schemes in two states, nearly Rs 1,113 crore were parked in different bank accounts and personal deposit accounts, the report noted. This had the impact of inflating project expenditure and also led to idling of funds, it added.